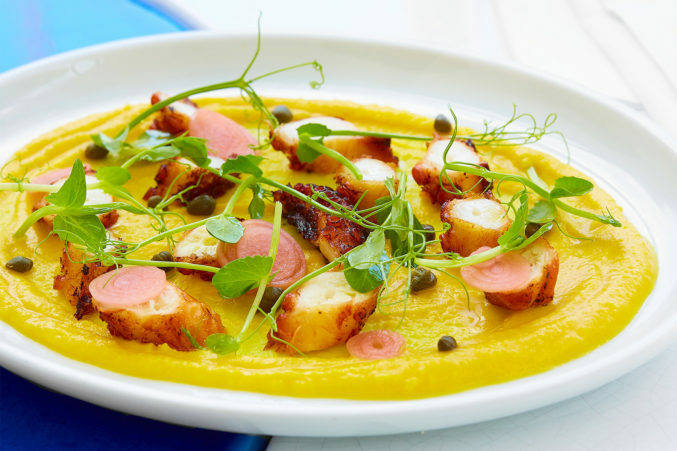 A dining room with sophisticated accents of white and sapphire is the stage for José Andrés’ dynamic Mediterranean fare based on the cuisines of Greece, Turkey, and Lebanon. Try pastirma, cured beef rolled with an apricot and mint; kale salad over a saffron-colored fava purée; or hunkar begendi, braised lamb shank over lush eggplant whipped with kefalograviera cheese. Indulge in warm, ethereally fluffy pita. End with Turkish coffee.